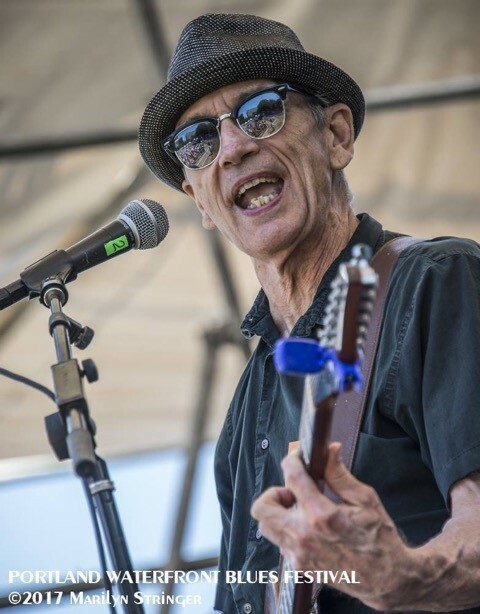 A recent "Best New Act" winner, Billy Desmond (Billy D) melds blues, rock, and at times nuances of country to create an "Original Backbeat Roots" style of music that has fueled timeless rock icons like ZZ Top and The Rolling Stones. Billy was born on the south side of Chicago where he grew up surrounded by the Blues, and being a child of the early Rock 'n' Roll era, the two influences blended into a powerful potion. He started playing professionally at teen dances and parties at the age of fourteen. By the age of eighteen, he was sneaking into the blues clubs of Chicago to hear such greats as Muddy Waters, Junior Wells, Buddy Guy, and James Cotton. Over the next ten years, he would work as a guitarist for Junior Wells, Big Time Sarah, and Detroit Junior. In the mid '70s, he formed his first band, Skid City Blues Band, which featured Billy as singer, guitarist, and songwriter. After fifteen years of touring the midwest, Billy moved to Los Angeles in 1988. He spent that year studying with Blues great Tony Matthews, guitarist for Little Richard and Ray Charles and spent half of the next year playing behind, Don "Sugar Cane" Harris, perhaps the world's greatest blues violinist. Los Angeles is where he truly started focusing on writing his own material. In the mid '90s, Billy moved to Santa Fe, New Mexico and began playing his original songs at local clubs and concerts to great acclaim. Within the next year, Billy D and the Hoodoos had formed. In August of 2002, with the help of some of the best musicians in New Mexico, he released his first CD, Tales From Hollywood (Real and Imagined). In 2003, She's The One from his first release was voted the number one song by a regional artist, at KTAO,the world's largest solar powered radio station. KTAO hosted the Annual Solar Fest in New Mexico where Billy D and the HooDoos appeared that year, opening for Los Lonely Boys and Robert Cray. After his second CD, Rokdablu!, and several more successful years in New Mexico, Billy left the Southwest for the Northwest, arriving in Oregon around Christmas 2009. He released his newest CD "Somethin's Wrong," which was embraced by the Portland music community and received outstanding reviews. So long as this life keeps lifin'...I'll keep rockin' --Billy D.